Iceland has a wide selection of shops. Reykjavik's primary shopping district centres on its main artery, Laugavegur, in the downtown area. A selection of boutiques, designer labels, arts and crafts galleries and jewellery design studios can be found here, including the popular 66°North and the Blue Lagoon shop. Over the past few years, Skólavödustígur (the street leading from Laugavegur to the Hallgrímskirkja church) has been transforming into one of the most chic shopping streets in Reykjavik. As would be expected in a country that experiences extreme weather conditions, several shops can be found selling high-quality outdoor wear and equipment, such as Skátabúdin (Snorrabraut 60), which stocks a range of well-known labels including the Icelandic trademark Cintamani. Souvenir shops are located on Laekjargata, Bankastraeti, and the area between Tjörnin and the harbour. Fur clothes are a particular Icelandic speciality and are available at the upmarket Eggert (Skólavördustígur 38). You can buy the famous lopapeysa (or Icelandic jumper) in many of the tourist shops or from The Handknitting Association of Iceland (Skólavördustígur 19) although buying one is the mark of a tourist - they are seldom worn by Icelanders. 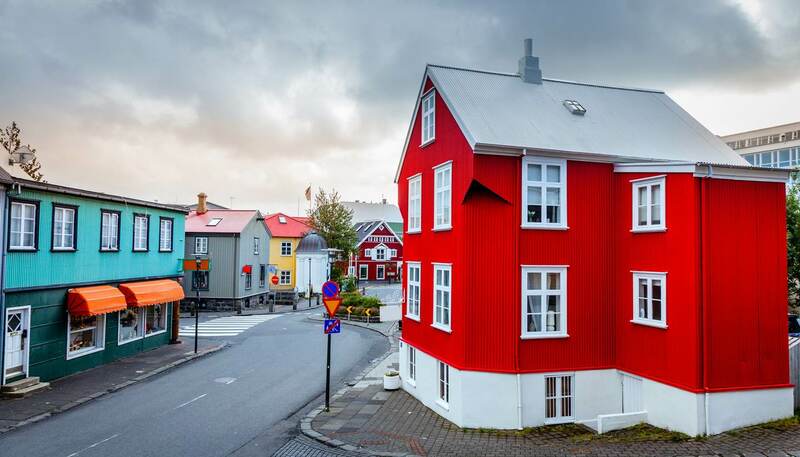 Design here, like in Scandinavian countries, is a national obsession, and the innovative Icelandic design scene is experiencing strong growth, spurred on by young Icelandic designers who are inspired by influences at home and from abroad. Most shops selling Icelandic design (clothes, accessories, homeware) are located in the main shopping streets in the city centre and around the harbour, but you may sometimes have to look hard, as many shops and studios are located in back streets or upper floors that are not easily spotted. Kirsuberjatréð (Vesturgata 4), for example, is run by 10 female artists and sells unique Icelandic design giftware, including clothing, ceramics, jewellery and handbags made from fish skin. Reykjavik’s flea market, Kolaportið, is a bit of an institution and takes place at Tryggvagata down by the harbour every Saturday and Sunday throughout the year, from 1100-1700. The Kringlan shopping mall, in the part of the downtown area known as the ‘new city centre', is a hub of social activity. Among its 170 shops is Íslandia, a one-stop outlet for Icelandic souvenirs. Smaralind shopping centre, a 10-minute drive from the old part of town, features 80 shops, a multi-screen cinema, cafes and restaurants. Most shops in the city, particularly those on Laugavegur- Reykjavík’s main shopping street - are open from Monday to Friday 1000-1800 and Saturdays from 1000 to 1600. Some shops stay closed on Saturdays during the summer. Shopping malls tend to open daily and for longer hours. Many supermarkets remain open until 2300, seven days a week. Popular souvenirs include clothes, homeware, Viking figures, jewellery and even volcanic ash from the 2010 explosion of Eyjafjallajökull. 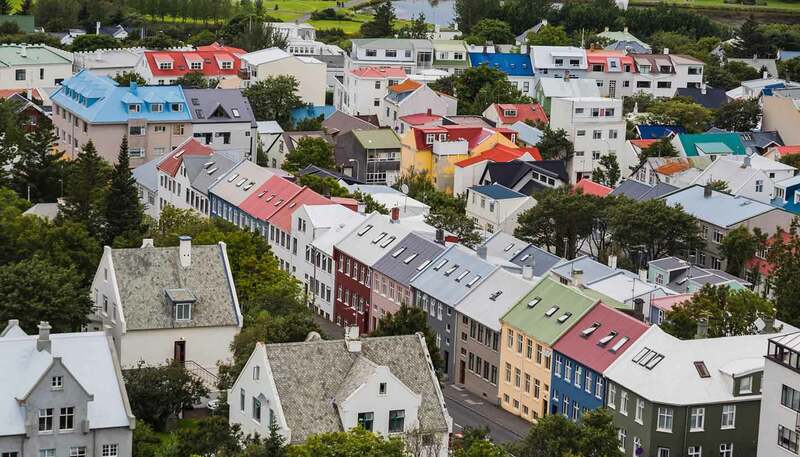 Iceland has a reputation for being expensive, but it is worth remembering that it is among the few countries in Europe where other Europeans can shop tax free. 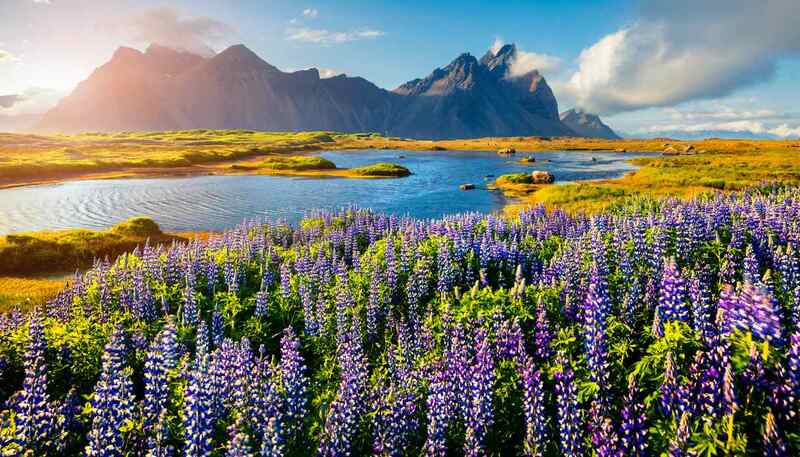 This is because Iceland is not a member of the EU, even though it is a member of the European Economic Zone. 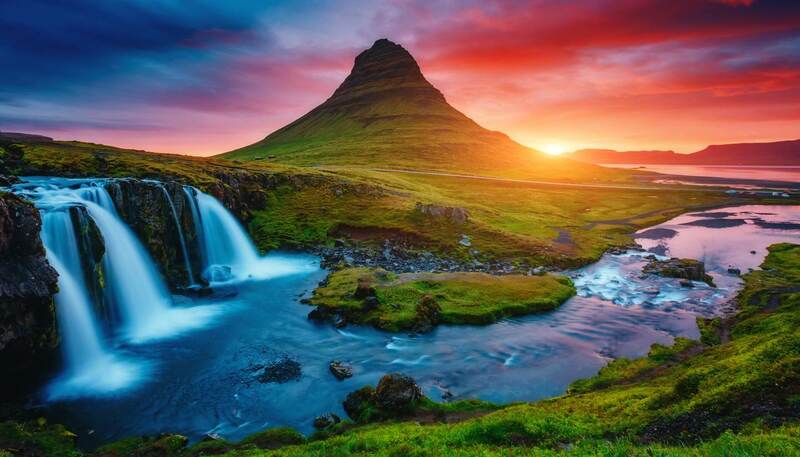 VAT for most goods in Iceland is 24.5%, except for books, which are taxed at 14%. A VAT refund will allow 15% of the retail price of goods to be reclaimed. To qualify, a minimum purchase of ISK4,000 (including VAT) must be made in a store displaying the Global Refund Tax sign (website: www.globalrefund.com) and a refund cheque obtained at point of purchase. The refund can be claimed back on departure. For refunds of over ISK5,000, the goods must also be shown.